Nicht in Südafrika? Wählen Sie den Shop Ihres Landes um Büchern anzuzeigen, die bei Ihnen zum Kauf verfügbar sind. Of all the obstacles you face while learning a new language, grammar is one of the toughest. But now there's a way to learn the subtleties of grammar without all the headaches. 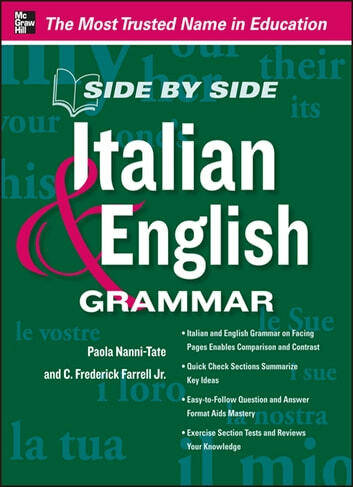 Side by Side Italian & English Grammar is the perfect tool to help you understand the similarities and differences between English and Italian grammar. 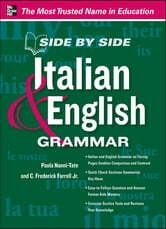 Side by Side Italian and English Grammar gives you a firm grasp of the structure of both languages and sets the stage for true language mastery. The Best Little Grammar Book Ever!